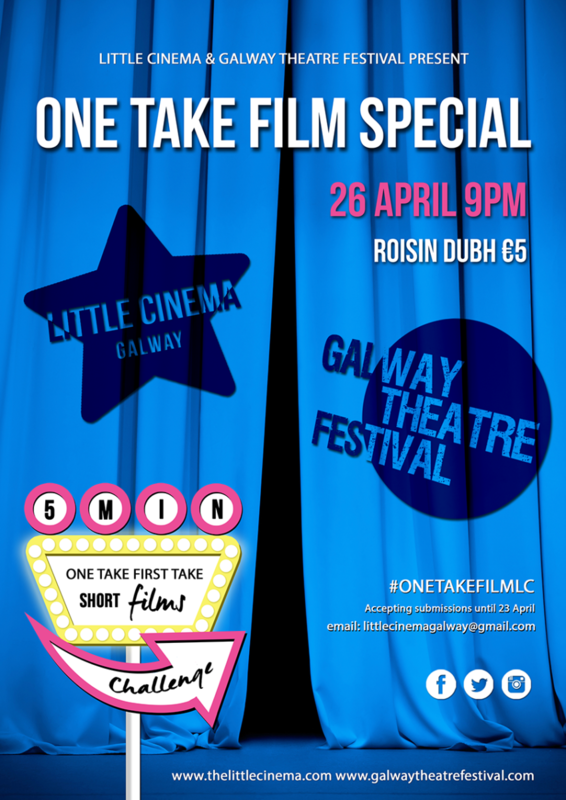 The Little Cinema is proud to be collaborating once again with the fantastic Galway Theatre Festival and in that spirit will be screening films made within the restrictions of theatre! The films screened will have been made in just once take, first take, so they will have the danger element of theatre involved in the making of them! If you have an idea for a film made in one take, and need help, check out the Little Cinema Collaboration facebook group where you might find people to help out! The event is taking place on the 26th April in Roisin Dubh. Doors will be at 9pm and entry is €5 on the door. See you soon!